A 3% year-over-year increase in PC shipments is being pegged to renewed demand in the business market. And the rise of device-as-a-service models could spur continued buying in the years ahead. Shipments of traditional personal computers during the second quarter of 2018 grew by nearly 3% year over year, the largest increase since 2012, research firm IDC said last week. According to IDC, computer makers shipped approximately 62.3 million systems in the June quarter. Lenovo, HP, Dell, Apple and Acer were the top five OEMs (original equipment manufacturers); their shipments represented 78% of the total. Rival research company Gartner pegged second-quarter growth at 1.4% and pointed out that it was the first year-over-year increase in 25 quarters. Gartner said that total shipments in the June quarter reached 62.1 million, with the same top five OEMs accounting for 74% of the global number. Both researchers credited shipments of business-grade personal computers as either the reason for the return to growth, or one of the main reasons. 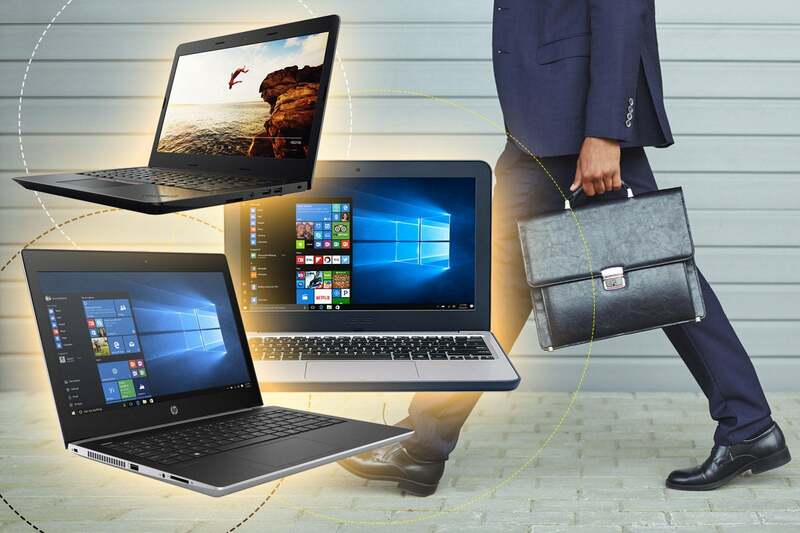 "Business volume appeared to be the key driver, with the top three companies reaping benefits across both desktop and notebook," IDC said in a statement. The two research companies tally PC shipments slightly differently, one of the reasons their estimates almost always vary. For instance, IDC counts desktops and notebooks, including Chromebooks, the devices running Google's Chrome OS, but omits detachables like the Surface Pro. Meanwhile, Gartner adds "ultramobile premiums," such as the Microsoft Surface, but excludes Chromebooks. A nearly unbroken string of shipment contractions has plagued the PC business since 2012, just months after the industry recorded its best-ever year, shipping an estimated 375 million personal computers in 2011. In 2017, IDC estimated worldwide machine shipments at 259 million, a reduction of nearly a third from peak PC. But the form factor is in no danger of disappearing and, in fact, may be on the brink of returning to year-over-year gains. "We're actually seeing a significant amount of strong drivers (for growth) in the market," said Neha Mahajan, research director of devices and displays for IDC, in an interview. Among those drivers, Mahajan argued, are strong workstation shipments and the Windows 7-to-Windows 10 migration by enterprises. But the latter is a temporary event, likely to diminish rapidly at or shortly after the end-of-support deadline for Windows 7 in January 2020. Device-as-a-service, or the associated term, "PC-as-a-service," is the model under which vendors bundle software, services - typically support - and hardware, then offer the whole kit and caboodle to enterprises as a subscription. The hardware gets swapped out at regular intervals - every three years, for example - and because the customer isn't responsible for support, the hardware choices are usually more varied. Mahajan believes that enterprises will increasingly offload hardware purchasing and support to PC-as-a-service vendors. "The old IT model is buy-and-manage the physical assets, but with Millennials coming into the labor pool, they break the IT model," asserted Mahajan. "You have to have a device strategy that's flexible, that offers devices that (Millennial workers) want to work with." The impact on the PC business could be significant. "The core of device-as-a-service is hardware life-cycle management," Mahajan said. "A lot of companies are going to converge on a three-year cycle. If (device-as-a-service) does become big, and I think it has a chance to, I think the refresh rate has a good chance of coming down instead of going up. "Device-as-a-service is going to be something that will be a game changer on the (PC) market," Mahajan asserted. "And it will be a game changer for many organizations, too."